I have devoted a lot of time to Colony Collapse Disorder. The mysterious disease that has done so much to destroy honeybees. But until the cause and cure are found I will keep reporting what I learn. Now in the beginning researchers wanted to blame chemicals. No doubt they do contribute but those working on the problem are taking a new look at the former suspect. 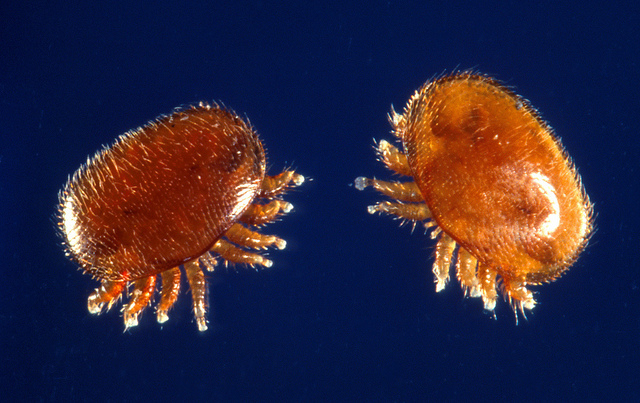 The Varroa Mite. This imported insect is not considered the problem but it is much more serious than was first considered. See the mite could generate a virus that very well could result in CCD. It has wiped out colonies in more than one country. Some pesticides will kill mites, but they could prove harmful to the honeybee itself. So, CCD problems are nowhere near a solution. Not yet anyway. And mite control is very, very costly.